One of the few bands that always seems to be able to form this type of unique connection with their listeners is Built to Spill. The first thing that helps Built to Spill create this connection is their often simple yet very vivid and descriptive lyrics. Built to Spill will often describe a specific person, street, or place with such detail in their songs that it makes you feel like you are living their life instead of the other way around. This has become one of the bands most influential qualities and it is most apparent on their 1994 album There's Nothing Wrong With Love. TNWWL is filled with descriptive lyrics that seem almost autobiographical: from a captivating description of growing up in Idaho in "Twin Falls", a night out in the town in the awesome "Car", a description of how different people view people he knows in "Some", a description of well a fling in "Fling", his view of the universe in "Big Dipper", and the sacrifices it takes to have a successful relationship in "Distopian Dream Girl". In all of these different songs he describes his childhood ("Twin Falls"), his night out ("Car"), his descriptions of people's opinions ("Some"), his views of the universe ("Big Dipper"), and his view on his relationship ("Distopian Dream Girl"). By making sure his lyrics are genuine and autobiographical, making sure that they reference specific places and people, and making sure they are presented in the proper way we feel like we are living Doug Martsch's life instead of feeling like he should be living ours. This connection that Built to Spill creates through their lyrics is unique and makes their music even more important and likeable. When we look at the scope of music that people often "connect" with they often follow the same generic formulas: "soft verse-loud chorus", "fast verse-slow chorus",and "country verse about a relationship somehow tied into a chorus about 9/11". 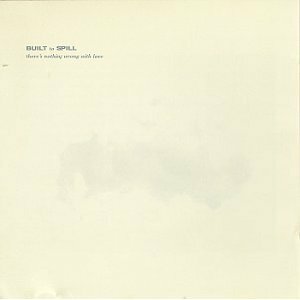 What makes Built to Spill's connection with the listener even more effective is the unique instrumental work and how none of the songs really follow a specific formula. This means Built to Spill is making music so you can connect with them instead of Built to Spill directly connecting with you. None of this takes away from the fact that the instrumentation on There's Nothing Wrong With Love is nothing short of incredible as every song sounds different and perfectly matches the vocals and lyrics. On There's Nothing Wrong With Love you can have a song that is set up with almost three to five distinct choruses ("The Source") somehow flow into an acoustic ballad about a childhood in Idaho ("Twin Falls"), an almost ballad about a night out on the town ("Car") flow into a description of a sexual fling ("Fling"), have the catchiest song on the album ("Distopian Dream Girl") flow swiftly into the most experimental song on the album ("Israel's Song"). All of the songs on here sound almost completely different (even though every song is filled with awesome guitar riffs and impeccable drumming) but they all flow together magnificently. It is almost like if Martsch wrote an autobiography and everyday was different but all of the days went together because it was his unique autobiography. Thankfully we as listeners get to experience part of Martsch's autobiography and it is a real page turner that makes us connect with him in ways we did not think were possible. Built to Spill furthers this connection with the listener with the original way in which they present their music. The originality of their presentation is basically based of Martsch's vocal style. Martsch sort of sounds like a hipster nerd with lots of vocal range. But in actuality this works a lot better than him having one of the usual "voices" that we connect with. If Martsch had an "American Idol" type of voice then it would be like he was trying to connect with us instead of letting us connect with him. Martsch voice takes a while to get used to but once you get used to his delivery your ability to connect with the music that Built to Spill presents is essentially endless. You just have to understand the connection that Built to Spill is trying to create with their music. We often have those little five minute conversations where we ask what our lives would be like if we had the life of a particular celebrity. We usually stop these conversations or even thought processes when we gain enough common sense to realize that it is never going to happen and that we are just going to have to connect with these celebrities through their work or even through their craziness. 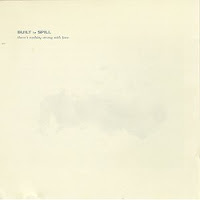 The thing that makes Built to Spill and There's Nothing Wrong With Love special is that they create a connection where they allow us to become them and the whole process is not forgettable or even illogical. It is a process where all we have to do is listen.